Is Twitter the New Ebert? 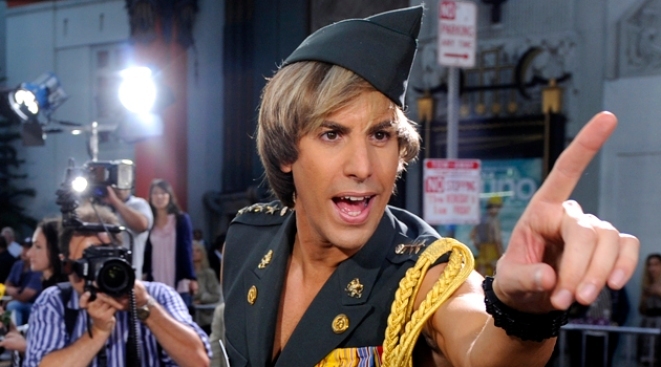 Sacha Baron Cohen, star of the new comedy film "Bruno," interacts with photographers at the Los Angeles premiere of the film, Thursday, June 25, 2009. It turns out everyone really IS a critic. Hollywood has discovered many movie-goers are ignoring professional movie reviewers in favor of Twitter. The Twitter trend was first blamed for the absolute failure of the Sacha Baron Cohen gaybomb Bruno. Says Time Magazine: "Brüno's box-office decline from Friday to Saturday indicates that the film's brand of outrage was not the sort to please most moviegoers — and that their tut-tutting got around fast." Movietickets.com disagrees. 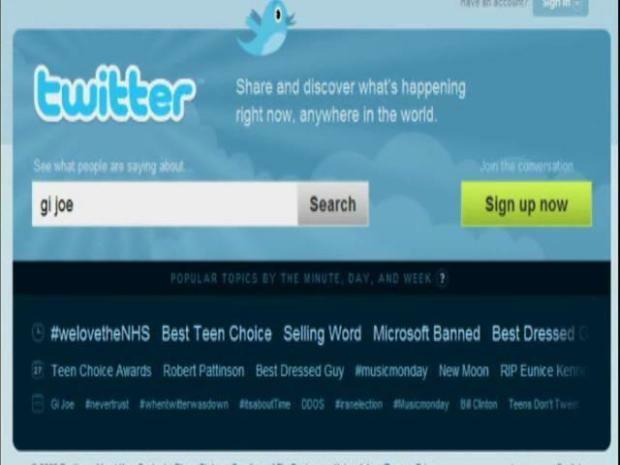 It tweeted a poll asking "does buzz on social media platform Twitter.com affect your desire to see a film?" The poll found 58% of respondants said it did not; 30% said they had never heard of Twitter. Hollywood has discovered many movie-goers are ignoring professional movie reviewers in favor of Twitter. Logic, though, says Twitter will have a big effect. If a significant number of your friends tweet that Julie and Julia is "great fun" and "charming," you would probably be more swayed than comments from Erik Childress of eFilmCritic who says "even Julia would raspberry this one". You trust your friends' taste. Erik Childress you've never heard of. And don't get us started on the bizarre tastes of Shawn Edwards. In the grand Internet tradition of building a site that just takes advantage of content on other sites, skinnipopcorn.com has collected movie reviews from Twitter. About GI Joe you will learn it's "OK, nothing special" and "I like childhood toys on the big screen." Julie and Julia rates "cute but to (sic) long" and "loved it." Clearly, to some degree, skinnipopcorn misses the point -- you trust what your FRIENDS think, not what anonymous Twitter users think. So, whether the film gets a thumbs up or a thumbs down, it's clear that the reviewers are putting their thumbs to work in the theater and in cyberspace. Bruno was distributed by Universal, which is owned by our parent company NBC Universal.